An Easy Check That Could Save Your Generator. Just this morning we received a call from a customer whose generator was in alarm. It was discovered that the block heater had failed leaving the engine cold. Had there been a real power outage this generator likely would have failed to start. 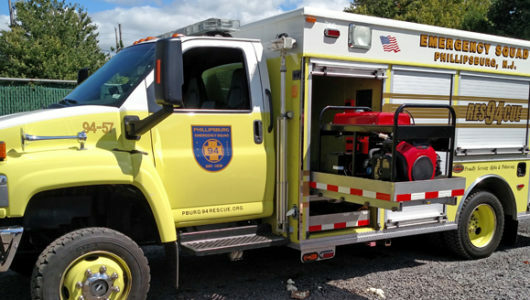 Fortunately, the problem was resolved quickly before it became a real emergency situation. Block heaters are the life blood for your generator’s engine during the cold weather months and they should not be taken for granted. Unlike your car which will typically start on the coldest of days, diesel engines rely on compression to start. Cold diesel engines and cold fuel will prevent engine ignition and generator start. Block heaters slowly circulate anti-freeze/coolant through the engine block keeping it warm enough to allow compression and starting capability. Failure of this component will surely result in a generator fail-to-start situation – likely at a time when you need the most. While our service team will inspect them during our regular annual, semi-annual, or quarterly inspections (whichever you have us do), block heaters are an electrical heater and pump that can fail at any time. It is especially important during the winter to routinely check that they are working properly. It is very easy to do yourself. Simply locate the block heater, typically a cylindrical device positioned along side the engine with a hose on one end coming from under the engine and a hose on the other going up near the top of the engine. Place your hand on the hose going up to the top of the engine. If it feels warm, all is good. If it’s cold, there could be problem. Contact us immediately. But first, check to be sure it hasn’t been unplugged from the wall outlet. Yes, we have been called out for this simple fix! Please forward this information to members of your staff responsible for the daily maintenance of your emergency generator. 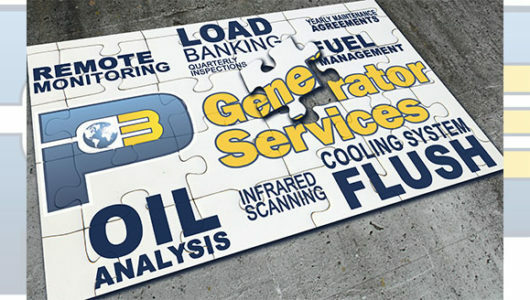 If you have any question, please call P3 Generator Services today!